This did not come out anywhere near the expected result. Object was much dimmer than I expected. Some brighter nebulosity can be seen just left of centre and an interesting dark area right of centre. 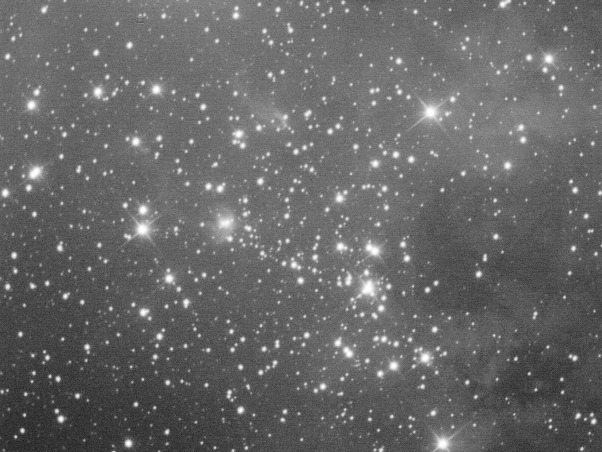 This is a fun bit of sky at the bottom end of Auriga. The AVI was stacked in Registax 3 development version with a darkframe. Saved as TIFF and curves in photoshop. Gentle minimum filtering in photoshop to supress stars a bit.